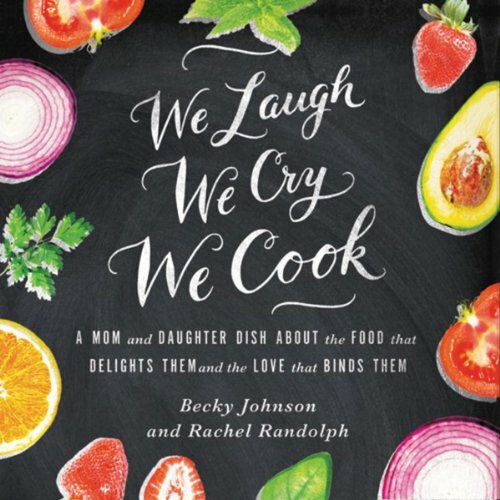 In We Love, We Laugh, We Cook, Becky - a butter and bacon loving mama - and Rachel - a vegan bean eating daughter - share stories of their crazy, wonderful, and sometimes challenging lives as Rachel becomes a mother herself. From food for a family reunion of 30, to lunch for a party of one in a high chair, to a hot meal for a sick friend, the authors demonstrate grace, acceptance, and love to others through the bonding gifts of humor, attentive listening, and cooking...whether diners prefer beef or tofu in their stew. Be forewarned. This book devoted a great deal of attention to child birth, wedding and marriage. I read and enjoyed this, and also bought one for my daughter for her birthday this year.